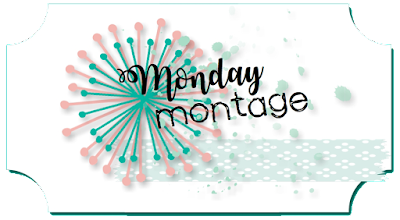 How about a little something made using the Amazing Life Stamp Set and Rectangle Stitched Framelits for today's Monday Montage Blog Hop? 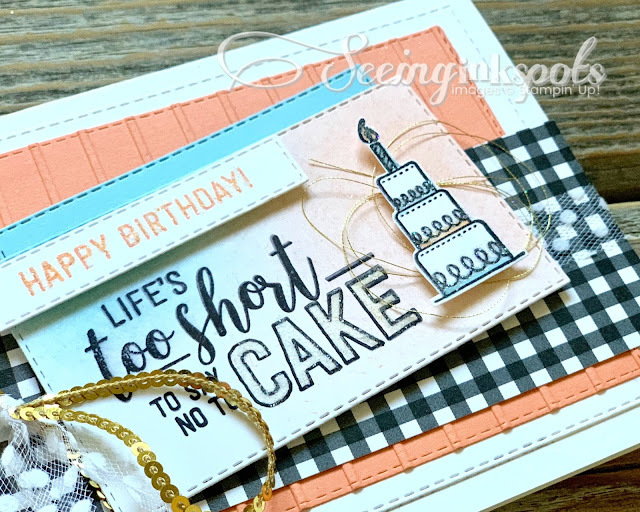 My card for this hop features this fantastic bundle and the Botanical Butterfly DSP. I started with a card base that is Thick Whisper White with a top fold. All of my layers were cut using the Rectangle Stitched Framelits Dies except for the wide strip of black and white gingham. The cool thing about the Botanical Butterfly DSP is that there are beautiful full color printed designs and the reverse side of each page is a black and white pattern. 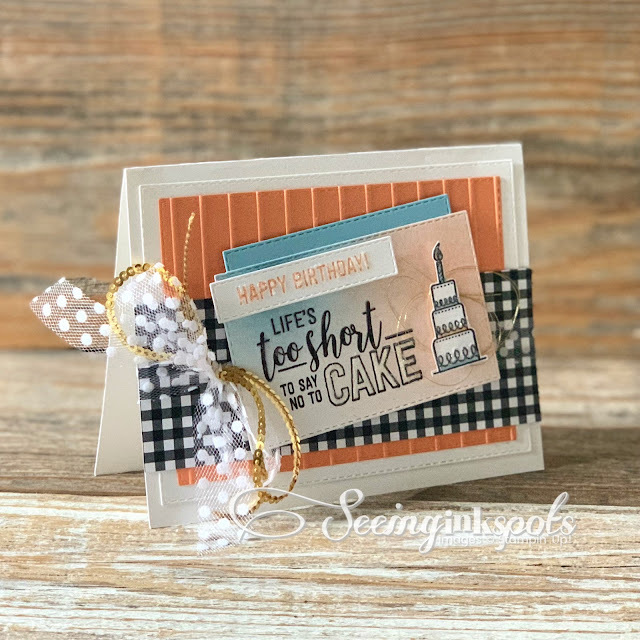 There are polka dots, diagonal stripes, gingham, images to color, and a butterfly design. My cardstock colors are Grapefruit Grove and Balmy Blue. I did emboss the grapefruit layer with the Simple Stripes TIEF. For the layer with the sentiment I sponged with Balmy Blue and Grapefruit Grove Ink for a bit of variation and subtle softness. To finish, since it's a birthday card, I included White Tulle Ribbon, Gold Mini Sequin Trim, and a few loops of Gold Metallic Thread. To me the pops of gold add such a festive and rich feel to the card. If you have a chance to create with this new bundle I hope you will share your projects. Enjoy your stops along the hop. Next up is Julie Warnick, or if you love to work backwards you will be meeting up with Dani. I love your colors and all the layers! I absolutely love crafting and making things, especially projects with papers and stamps. I enjoy making altered scrapbooks and cards. 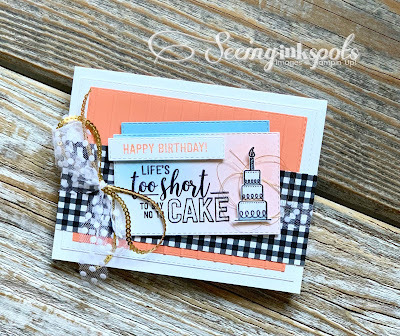 Lately, I have totally enjoyed creating gifts, jewelry, and home decor items with Stampin' Up! products. I have been a Stampin' Up! demonstrator since 1998 and I love my job. 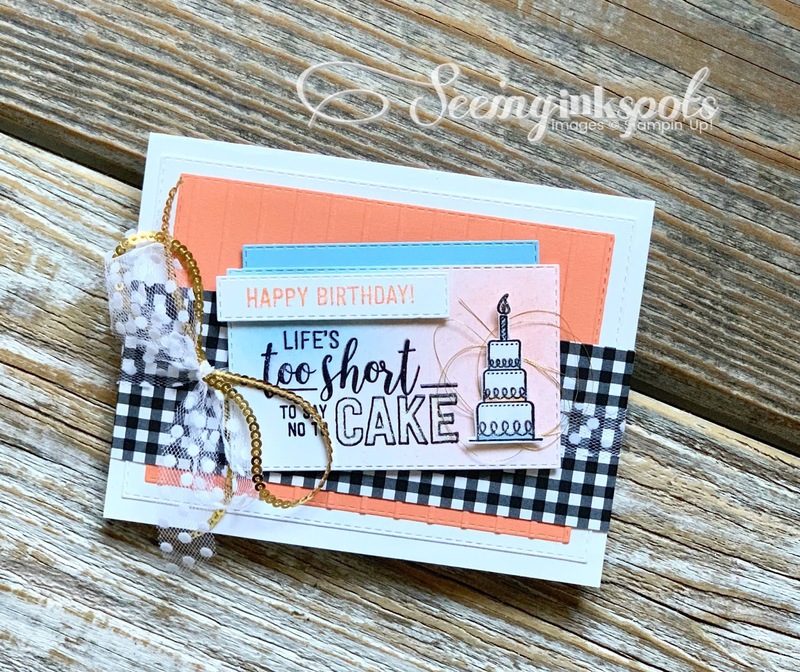 I am also a Stampin' Up! Artisan Award Winner for 2009-2010 and an Artisan Finalist in 2013. I have another job working in the field of weddings and events. I help design and coordinate florals and decor for events all over the Silicon Valley. I truly love the opportunities when my two jobs collide and happily intersect. 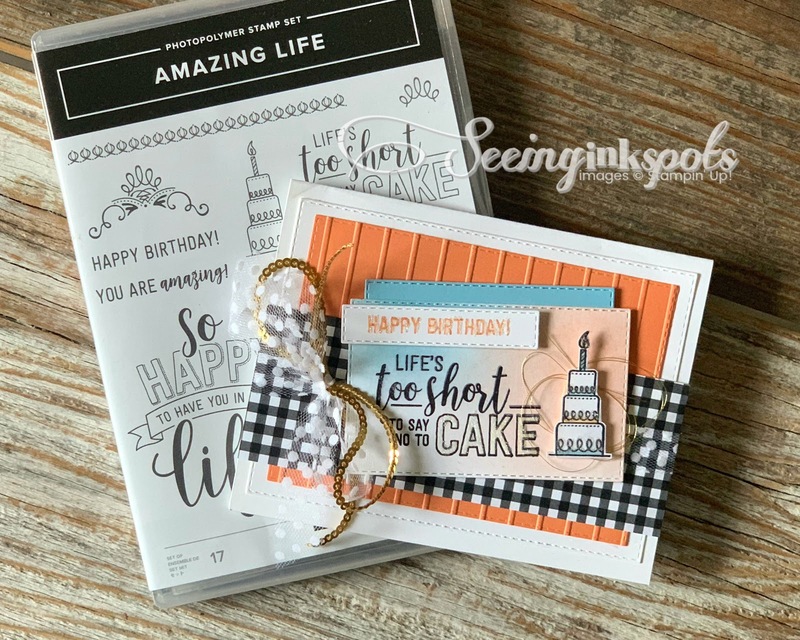 Seeinginkspots is my personal blog and its content is my sole responsibility as an independent Stampin' Up! Demonstrator. The use of and content of the classes, services, or products offered on my personal blog, website, or other Internet medium is not endorsed by Stampin' Up!